September and October are great months to tour France in a motorhome or campervan if you are not restricted to coming during the school holidays. The kids are back at school so most campsites and tourist attractions are blissfully peaceful but still open and keen to greet you. The days remain long and the weather typically stays gorgeous so “Al fresco” dining is on the menu. All kinds of interesting festivals take place to celebrate the harvest of just about everything that grows from grapes to walnuts and the world’s number one tourist destination relaxes as the temporary summer invasion slows to a welcome autumn trickle of visitors. Prices for everything from flights to campsites (and motorhome hire!) drop too so there really is no better time to come. 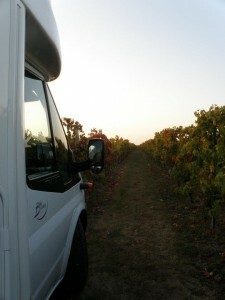 We don’t have a great deal of availability left for the autumn now and certainly anticipate being fully booked until late October soon but we do have the odd gap in all vehicle types so why not plan a spontaneous motorhome trip, exploring France at her glorious best as the summer draws to a close.